Can humans really mutate? Is exceptional strength and extremes of robustness possible and that too when you are pushing the 4th decade in life? Is 4000 calories of worth of diet a road to morbidity or a path to inhuman fitness? 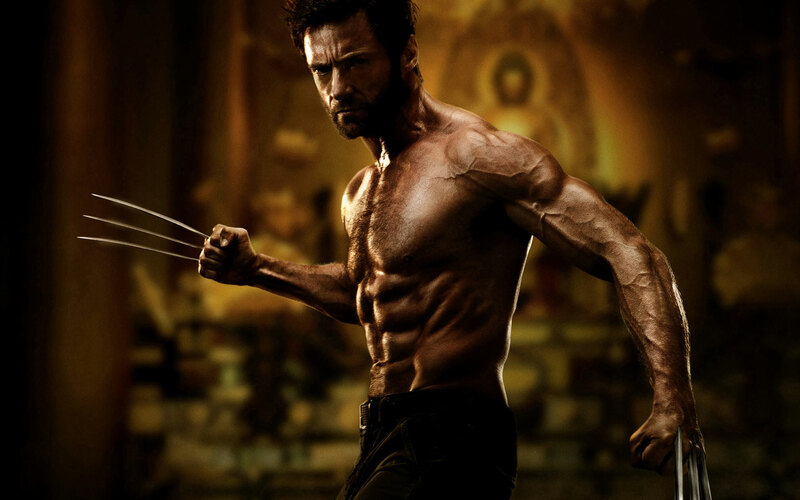 The answers to all these questions lie with the diet and fitness routine of The Wolverine, Hugh Jackman. With the heights that he has reached in the books of ultimate popularity, curiosity surrounding how he managed to land with a shape as his was only waiting to happen. The good news is the actor has allowed a sneak peek into his diet and fitness regime with a touch of caution because this routine to ‘its last inclusion’ requires thorough professional supervision! Breaking away from the usual and pushing away the hackneyed has shaped a frame of robustness that only Gods and Wolverine can carry. The aim of the schedule is to put his body to different levels of discomfort that he has to break through to overcome, thus creating fitness to the level of extremes. The schedule commences with light cardio exercises for about 10 minutes which is followed by weight lifting sessions with compound movements. The main workout schedule stretches over 4 days with 3 days of rest. Each of these 4 days are dedicated to working out different parts of his body that is the chest, the shoulders / arms, back and legs. As far as shoulders and arms are concerned, exercises like shoulder press, side lateral raises, rear lateral raises, shrugs and barbell curls. Incline bench, bench press dumbbell flyes and weight dips were recommended for the chest. Exercises like barbell rows, cable rows, weighted pull-ups and lateral pull downs constructed his back while leg press, leg curl, leg extension, squats and stiff legged dead lift shaped his legs. Each exercise session ended with some relaxing low intensity cardiovascular exercises like swimming and jogging on treadmill. Overall, the workout can last for as much as 3 hours starting from 4 in the morning! If you take a look at Hugh Jackman in his 30s and then take a look at his present frame, the bulk that he has put on in the right places and the right way is more than just obvious. Putting it in very simple words, this actor has been consuming an astonishing 4000 to 5000 calories per day! if you are gasping for air already, it will be enlightening and a little unburdening to know that it is more about the nutrients and the micronutrients that has to get into the body to support the Wolverine frame. A neat division of everyday diet in 4 simple yet power packed meals does the expected wonders. The inclusions from the beginning of the day to the end basically include eggs, oatmeal, sweet potato, broccoli, walnuts, tomatoes, ground turkey, steak, chicken, fish, brown rice and avocados. Besides this, protein shakes were his constant companion after his training session. The gentlemen attempting the Wolverine frame and willing to follow his diet and workout schedule must be wary of going unsupervised by professionals. Hugh Jackman has the best of professionals suggesting his schedule and monitoring his progress meticulously which is practically impossible for a 9 to 5 individual to have access to. So, be wise and approach a frame that is achievable than throwing yourself into the arms of predicament.